Having a vintage themed bridal shower? These adorable Mini Milk Bottles are perfect for any retro tea party! 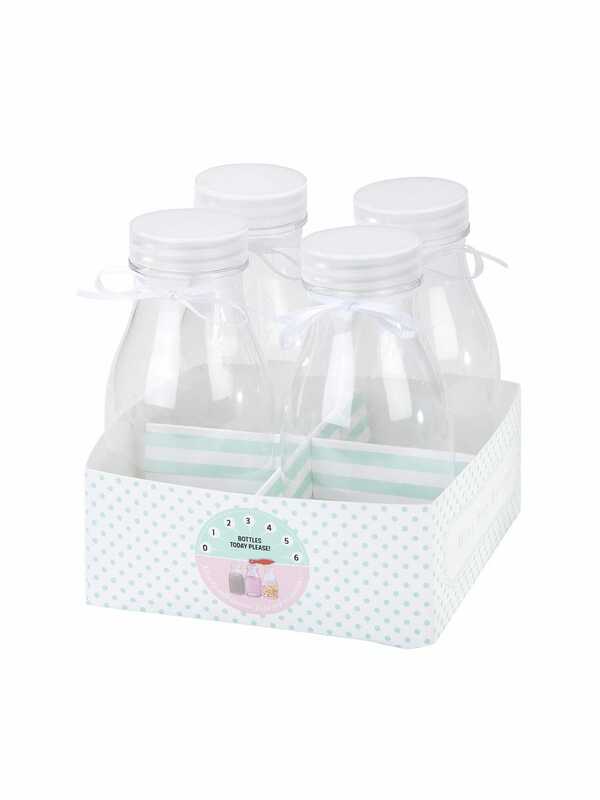 Each pack contains four mini plastic milk bottles with lids and white ribbon decorations. They come in a cardboard tray, with a mint green dots and stripes pattern. Fill them with cocktails and put some Vintage Paper Straws in them for a wonderfully quant effect! Make sure you also check out our other vintage decorations and tableware, such as the Lampshade Bunting, Paper Tablecloth, and Paper Plates; the whole range looks gorgeous together!